At Flow Fitness Boutique you’ll feel right at home the second you walk through the door! Breathe in the essential oils, grab a cup of fruit-infused water and even take a few minutes to wind down in our Revive Room, a unique place that lets you catch your breath after a hectic day. Enjoy all this and more while connecting with an amazing group of encouraging and like-minded women in a boutique atmosphere. Browse the links below for a more complete overview of what your first day will look like. We can’t wait to meet you and connect further! While pre-registration isn’t required for our classes, we recommend it so that you don’t waste your valuable time. 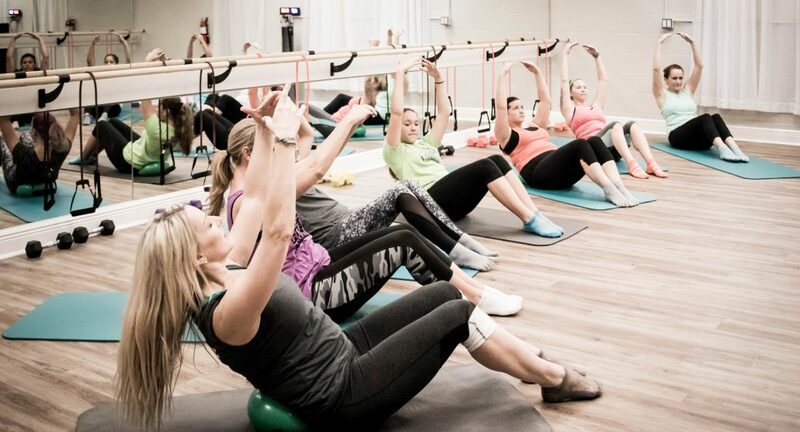 You may choose to drop in, which isn’t a problem, but keep in mind that some classes fill up quickly! Pre-registered childcare will ensure your child has a spot and allow you to work out without worrying about your child’s safety. As such, you will be able to focus on your work out, maximizing your benefits. Be sure to download our Glofox App for iOS and Android to keep up to date on class and child care schedules and access other super cool info. To further streamline your first day, you may also download, print and fill out the “member agreement”, “liability waiver”, and “child care forms” forms below. At times, a class and/or childcare is pre-booked, so you’ll be asked if you want to sign up for the waitlist. As a courtesy to others, if you no longer plan on attending a class or using child care, we ask that you please cancel your waitlist reservation. Please be respectful of others who want to participate in a class and cancel at least an hour in advance if you are unable to attend. We have a no-call, no-show fee of $10. You can help us with this by respecting this policy. The management does reserve the right to change this policy at any time. You will sweat, and you will need water. Bring a water bottle to stay hydrated. We have complimentary fruit-infused water and bottles for sale in the lobby. We do require footwear, either non-skid socks for Barre, Flowga, Trapeze Flow and Power Flow or activity appropriate shoes for other classes. We do not allow bare feet for sanitary reasons and so that we can comply with health code regulations. Wear comfortable athletic apparel. If you need to spruce up your workout wardrobe, we have plenty of clothing options for you in our lobby! We do have a limited supply of non-skid socks available to borrow in the lobby or some amazing options for purchase. We will provide everything else you’ll need including mats as needed. Please show your beautiful face at least 15 minutes before the start of your first class. This will allow plenty of time for you to fill out any paperwork, get a tour and review any injuries or modifications with your instructor. For future classes, we’d love to see you 5 minutes early, or your spot might be given to a standby student if the class is full. If you will be checking a child into our Little Angels’ Club, we recommend arriving 20 minutes early on your first day and 10 minutes early thereafter. For your convenience and to make the process flow more smoothly for everyone, print out and complete your Child Care Form before you arrive. Flow Fitness is a tribe of women who might not know each other but who will hopefully become friends. We love to see interaction between you and others before and after class. However, please avoid the chit-chat during a workout as it can distract others, including instructors. On the other hand, if you’re feeling energized by the music and rad (yeah, I’m bringing it back) moves, go ahead and yell out a “Woot Woot!” or “You go, girl!” We’re all about motivation, encouragement and having fun!